Primarily used for filing in curved surfaces and in corners. Tapered in width and thickness, coming to a point. 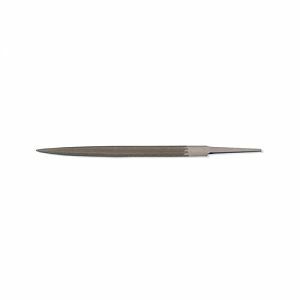 Narrower than regular half-round and therefore, useful for filing inside of rings. Double cut on both sides. Please select from file size and cut from below.